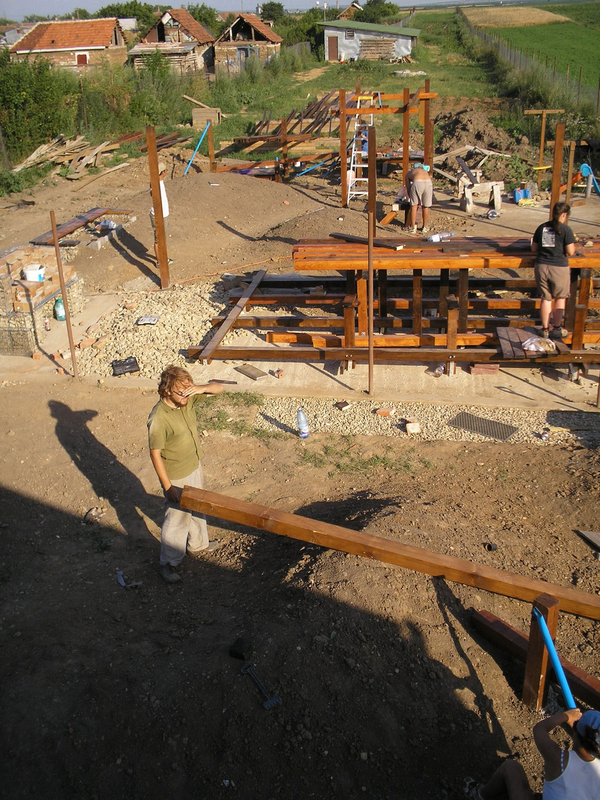 In 2006, the IDC, in partnership with the Study Abroad Program at UL Lafayette, took 12 students to Oradea, Romania where they worked with local craftspeople to design and build a playground for abandoned or at-risk children. A few days after arriving in Oradea (time spent in failed attempts scavenging), our team discovered that a local business had excess topsoil they would send for the cost of transport. Having no idea how this material would be used in the design response, our team nevertheless jumped at the opportunity and asked to have as much topsoil as possible. Rather than design for scrap, our team would dedicate our efforts to uncover that which could be obtained for the cost of transport. Then, as the trucks delivering rocks, pebbles, or broken bits of concrete rumbled to the site, we would create ways to use their new found treasures to create the environment requested by the client. First, our team decided that every structure within the play environment would serve as many functions as possible: the table for communal meals would double as a castle for the children when meals were not served, the mounds of earth which provided a play landscape would also provide elevated gardens that could be tended by mothers in the final trimester of pregnancy, the fence to protect the children from the working of the farm beyond would also become a fort. 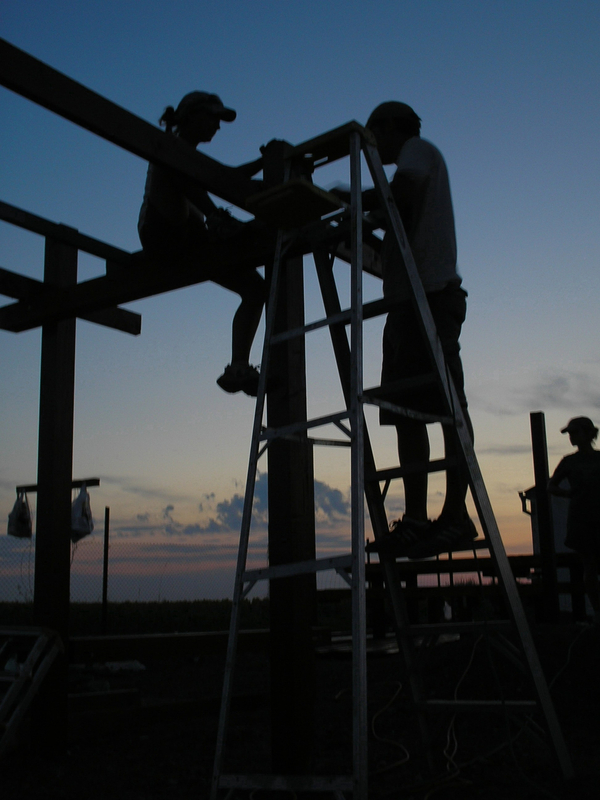 In similar fashion, posts, beams, and cladding were also used to serve multiple functions whenever possible, minimizing the amount of materials that had to be bought, finished and installed, while simultaneously eliminating unneeded clutter from a fairly dense play environment. 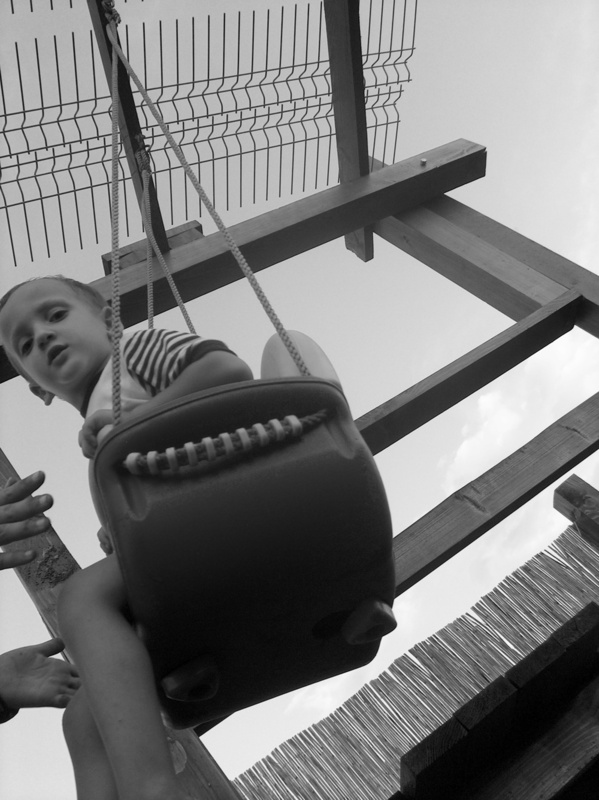 Finally, existing items which had either been discarded by the organization (wood scraps) or were made obsolete by the new play environment (the existing swingset) were given new life in a manner that spoke to both the ambition of the client and the culture they intended to serve. PUBLICATIONS include: works by the University of Technology at Eindhoven (2007), the Industrial Designers Society Of America (2006). PARTNERSHIPS: The Agape House of Romania, the University of Louisiana at Lafayette, and the International Design Clinic.